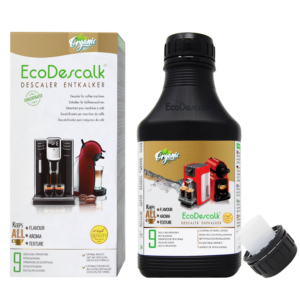 Keep your coffee machine in perfect conditions with EcoDescalk, Organic the ideal descaler to remove limescale deposits from your coffee maker. Used regularly, it helps to avoid problems caused by lime, such as lack of steam, bad taste of coffee or lack of foam in the preparations. Thanks to this product you can remove limescale and prevent corrosion quickly and easily, thus protecting the appliance and prolonging its useful life. Its organic composition makes it the perfect formula to guarantee a maintenance of your coffee maker totally natural and respectful with the environment. This limescale remover can be used in any type of coffee machine, expresso, capsule and filter (Nespresso, DeLonghi, Krups, Tassimo, Saeco, Bosch...). EcoDescalk is presented in liquid and powder format, having in both cases an easy and safe application, thanks to the dosing cap and the single-dose sachets, respectively. 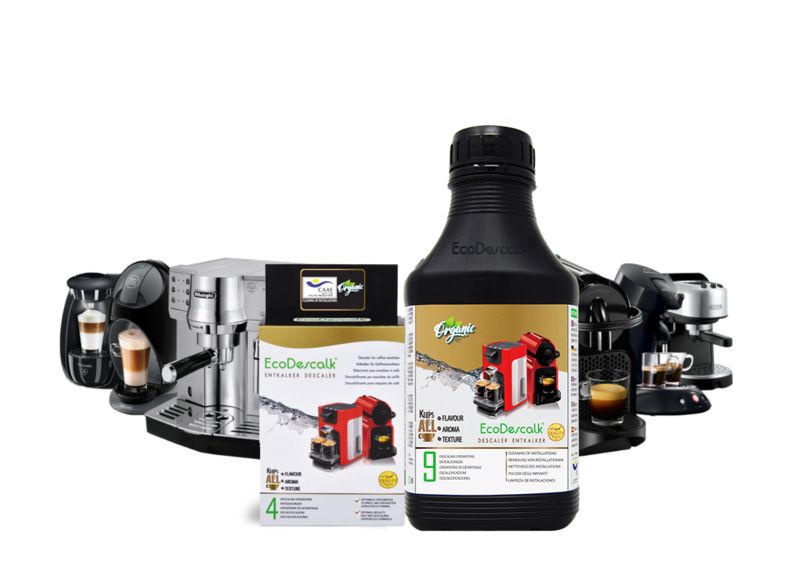 Its high quality standards and unbeatable price make EcoDescalk the perfect alternative to decalcify your coffee machine. 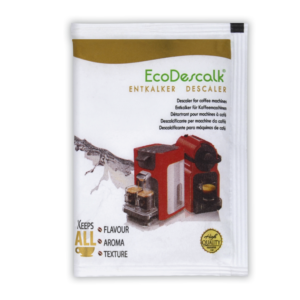 EcoDescalk is the perfect limescale remover that guarantees a quick decalcification of the limescale deposits thoroughly, without damaging the internal parts of the coffee machine. This product cleans each and every one of the parts that form the circuit of the coffee machine, which guarantees a greater performance of it. 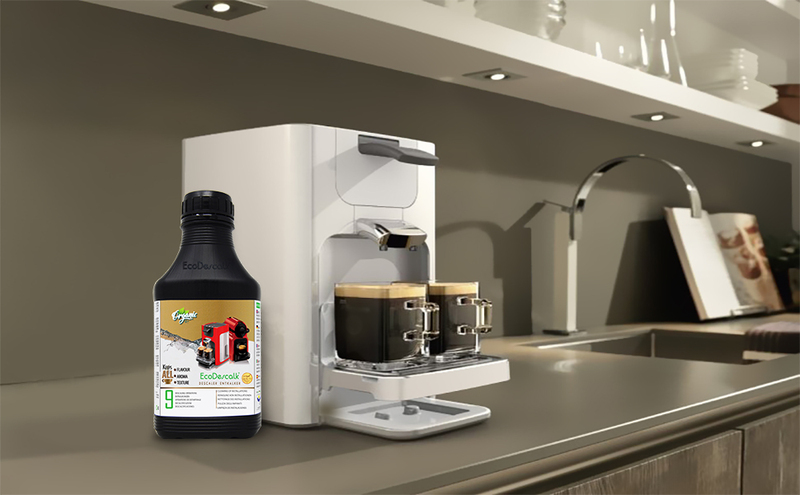 In addition to removing lime from your coffee maker, this descaler protects your appliance against the appearance of new limescale deposits that may end up causing a poor performance of the coffee machine. 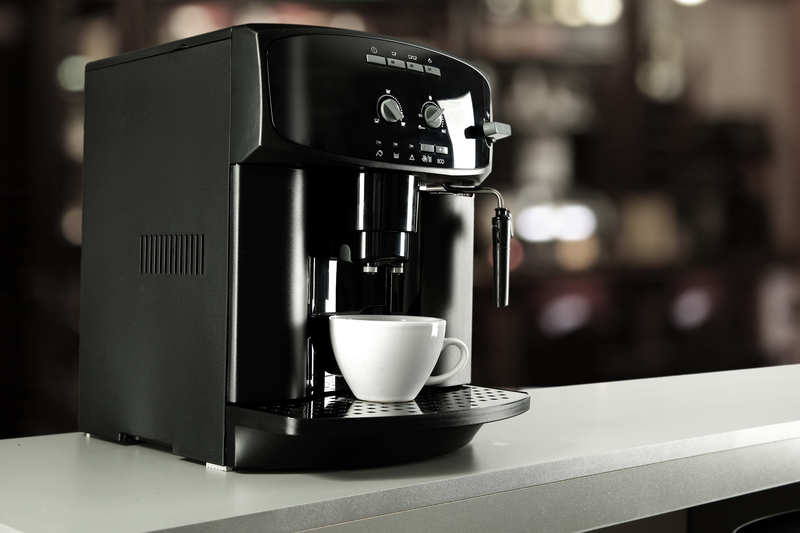 A regular maintenance of the coffee machine ensures a better taste and aroma of the coffee, as well as preparations with more foam. Is it necessary to decalcify? On what type of machines can I use EcoDescalk? Is it equally effective despite of being totally natural? 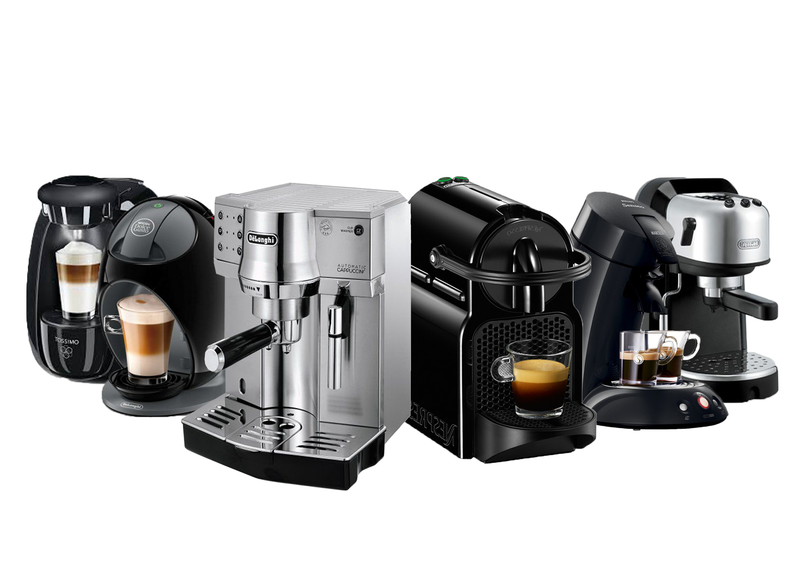 It is important to decalcify your coffee maker regularly, approximately every 3 or 4 months, to ensure an optimal performance of the machine. 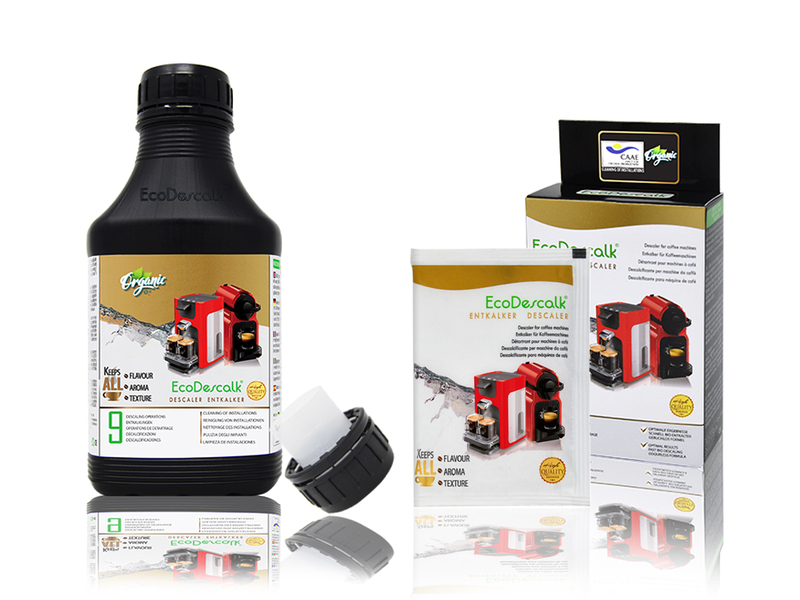 EcoDescalk is presented as the solution to avoid the accumulation of lime deposits, corrosion and obstructions. 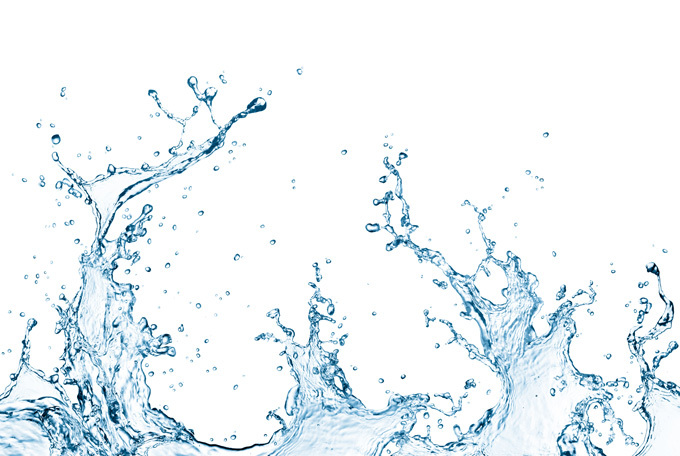 Its natural character and its universal use means that it can be used to remove limescale in any type of coffee machine. 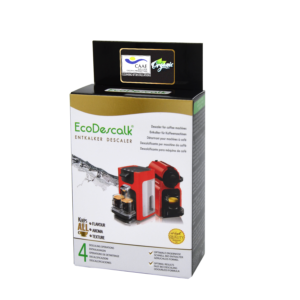 EcoDescalk has a universal use, in other words, it can be used in coffee machines of any type, whether espresso, capsules and filter machines. 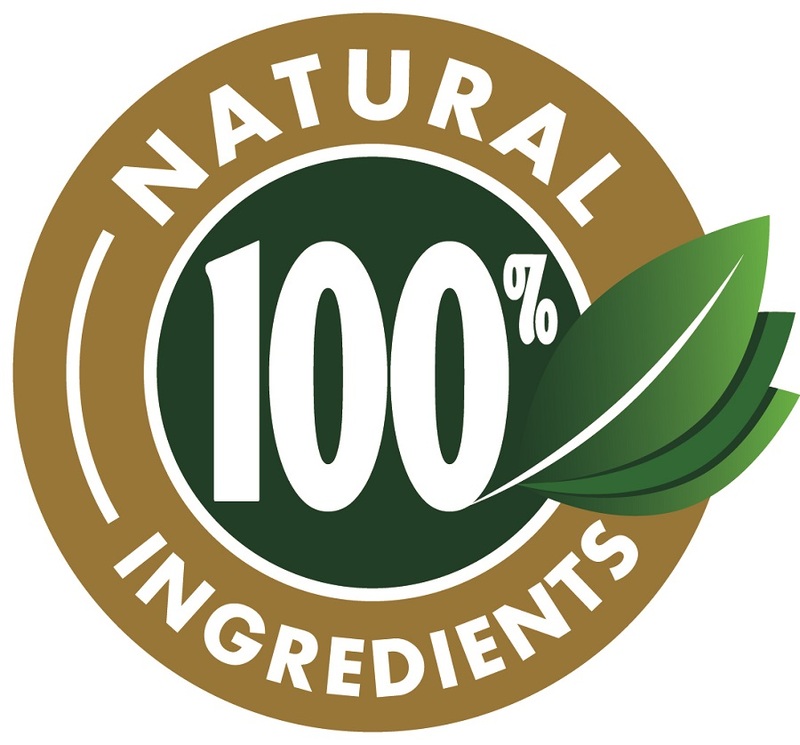 Yes, apart from its efficiency, it has the advantage of being totally natural, which is beneficial for you and your family. It is a totally effective product in the removal of lime and we guarantee a lasting protection of your coffee machine. WHERE CAN I ACQUIRE ECODESCALK? A wide range of possibilities with the best offers and packs so you can get your EcoDescalk at the best price. 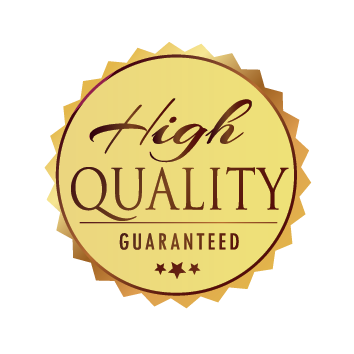 Do not wait to try our product, enjoy an immediate delivery for free. Your trusted online store where you can enjoy all the possibilities of your new Prime service. If you want to be a distributor of our products, please fill in the following form and our sales team will contact you as soon as possible.